Columbia Books Acquires Thompson Information Services - Berkery, Noyes & Co., LLC. 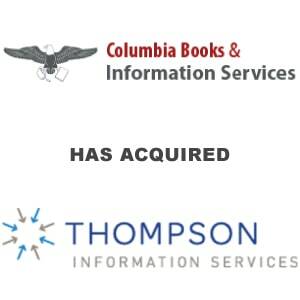 August 29, 2013 — Bethesda, MD – Columbia Books & Information Services today announced that it has acquired Thompson Information Services, a leading provider of compliance information and training for over 40 years, from Thompson Media Group, LLC. The addition of the Thompson line of loose-leaf manuals and books, in print and digital library form, and compliance training continues Columbia Books five-year expansion in the compliance information and training services arena. Ultimately, however, the acquisition of Thompson will enable Columbia Books to reach beyond its core audience of the political professionals who craft laws and regulations, and assist the individuals who must comply with those rules in the fields of human resources, benefits, food and drug administration, grants management and development, health care facilities, energy law and environmental issues. 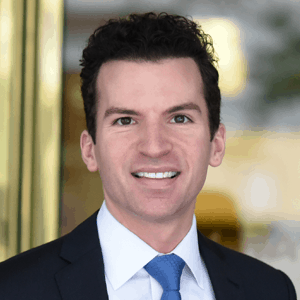 Calling Thompson Information Systems “the gold standard for practical and detailed compliance information,” Joel Poznansky, CEO and president of Columbia Books, said he originally modeled his first regulatory compliance products on Thompson’s loose-leaf manuals. Financial details of the transaction are not being disclosed. The transaction was handled by Berkery Noyes. Since 1972, thousands of professionals in business, government, law and academia have relied on Thompson Information Services to provide the most authoritative, timely and practical guidance available in a variety of professional practice areas. Thompson Information Services is recognized as one of the leading publishers in regulatory compliance information in the fields of human resources, retirement plans & employee benefits, grants management, food & drug, health care, environment and energy. The Thompson Information Services collection includes over 50 industry-leading titles covering critical compliance and regulatory issues — including respected resources such as the ADA Compliance Guide, the Fair Labor Standards Handbook, the Federal Grants Management Handbook, the Controlled Substances Handbook and more. Thompson will continue offering its titles in digital and print formats. Since 1966 Columbia Books & Information Services has provided users with information on and for the association, government relations and other professional communities. As a publisher of print directories, subscription databases, newsletters, live training and webinars, Columbia Books & Information Services has extensive experience capturing and delivering relevant, timely and accurate information in whatever form the customer wants. Columbia Books collection includes Washington Representatives, the Original US Congress Handbook and Association TRENDS, as well as online subscription resources including Lobbyists.Info, the deepest database of lobbyists, legislation and congressional personnel and issues.